President Trump’s tariffs: Did the ‘forgotten men’ get their jobs back? Leading HUBE update: No signs of a slowdown – could this be true? Croatia: Good or very good news? 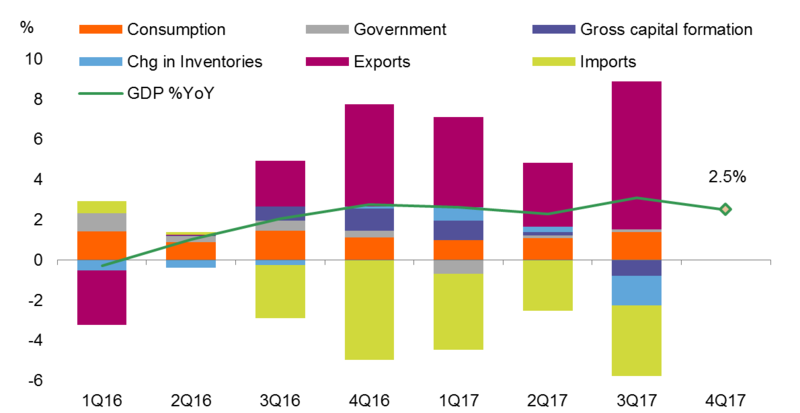 We expect economic growth in Taiwan to slow from 3Q's 3.1% YoY to 2.5% in 4Q, leading to a full-year growth rate of 2.6% for 2017. The slower pace of growth in 4Q is a result of a high base in 2016. 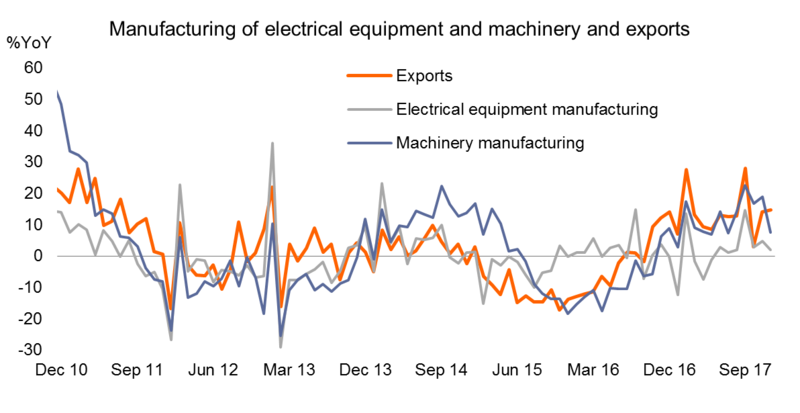 The engines of growth are manufacturing and trade of machinery, which has almost replaced the growth engine of electrical equipment manufacturing in 2016. That is not a bad sign for Taiwan. The two manufacturing industries seem to be able to compliment each other to sustain economic growth. As we expect global growth to continue to rise in 2018, Taiwan's electronic-related products should continue to lead the Taiwan economy, growing at 2.1% in 2018. 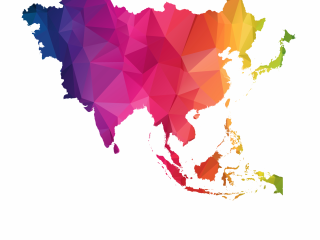 With a strong economic focus on electronics-related industries, Taiwan is prone to competition from peer countries, including South Korea, and Mainland China. Taiwan President Tsai Ing-wen has hinted at a military threat from the mainland so it's not difficult to imagine that Mainland China could impose some trade barriers. In fact, Mainland China has already moved in this direction by taking away Taiwan's diplomatic relations. The obvious one is Panama. We are highly aware that the risks of more trade hurdles from Mainland China would increase if Taiwan continued to avoid discussions with China about the One China policy. Domestically, although the unemployment rate is reasonably low and stable around 3.7%, wage growth was negligible at 1.4% in 2017 vs 2016 gauging from the labour cost index from Taiwan Directorate General of Budget Accounting and Statistics. According to the Ministry of Finance of Taiwan, manufacturing is the sector that offers low wages. This explains the dim retail sales trend, as manufacturing contributes a large part of GDP. If the retail sector relies merely on locals, the growth trend is likely to be mild in 2018. Low manufacturing wages are not likely to increase anytime soon, suggesting consumers will not be able to ramp up spending in 2018. 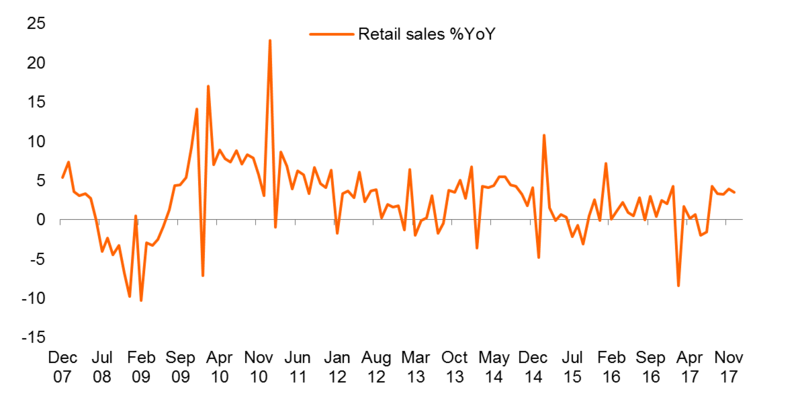 In our view, retail sales are unlikely to support the economy if Taiwan were to be hit with more trade hurdles in coming months. Although the economy is growing, it's just too fragile- relying largely on the manufacturing of machinery and electrical equipment. Some of these products are in competition with Mainland China and could face trade hurdles. In addition, wage growth is low and can't support a meaningful upward retail sales trend. All this suggests that the central bank of Taiwan will not follow the global trend of raising interest rates. What about lower interest rates to support the economy? The timing isn't quite right because economic growth is not as bad as in times of crisis. The already low level of policy rate at 1.375% would be the last lifeline for Taiwan when there is an unexpected event or crisis, which is not our base case in 2018. Even without central bank rate hike, we expect that the Taiwan dollar would strengthen against the dollar. This is partly because of the weak dollar trend, and partly because of foreign investors chasing after Taiwan stocks. Though strong TWD may not hurt trade it could hurt profit margins of exporters. We expect USD/TWD to reach 27.80 at the end of 2018.